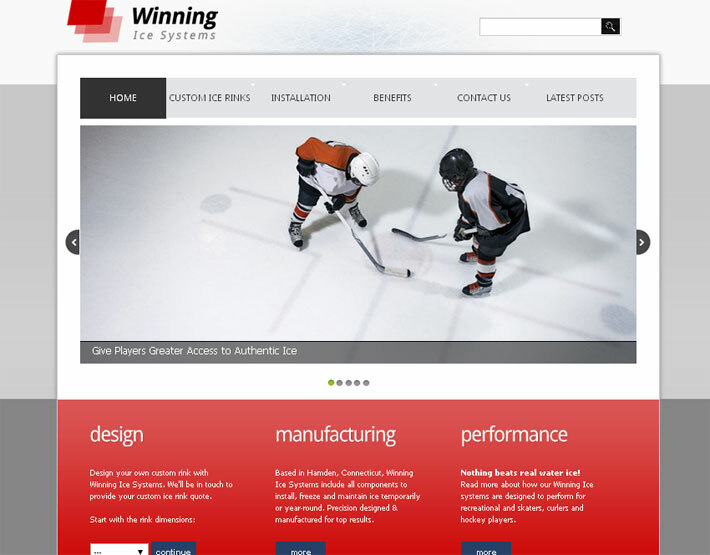 WinningIce.com was set up for a new ice rink product line from Connecticut manufacturer High Precision, Inc. The site was online, but needed to be redesigned. 3PRIME started by re-orienting the logo and name around the domain. 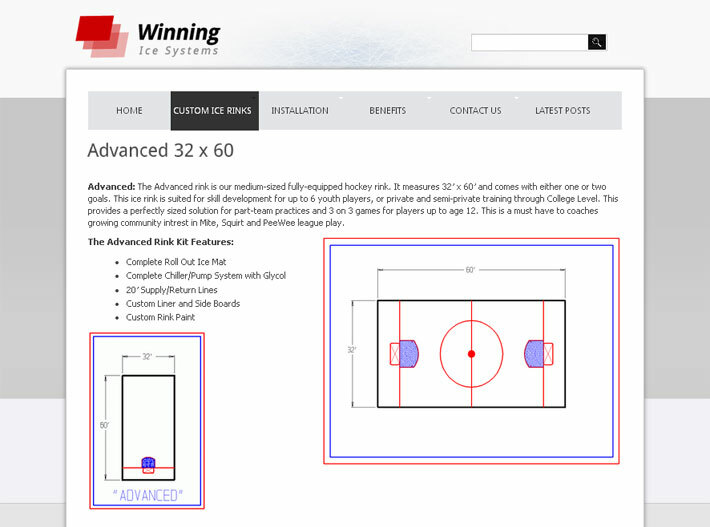 Then, we designed a custom layout and implemented it using WordPress. Once the website architecture was ready, 3PRIME migrated the existing content, creating custom templates for the core types of pages, including product categories, product pages and content pages. 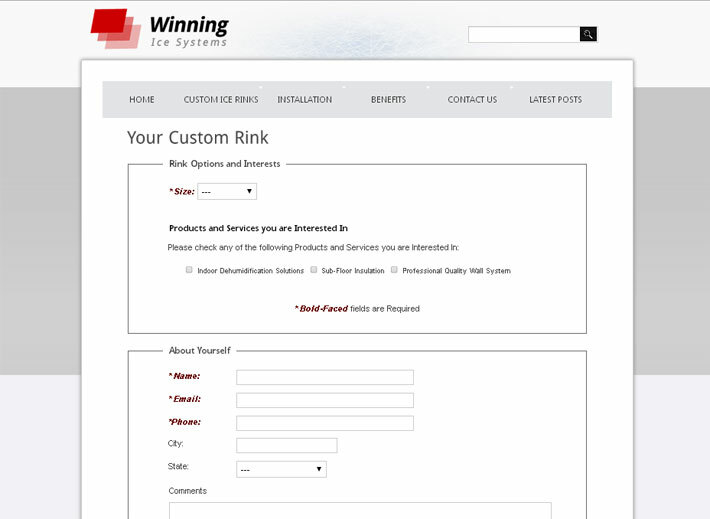 The website also includes a lead generation system through a simple quote request form that visitors fill out. 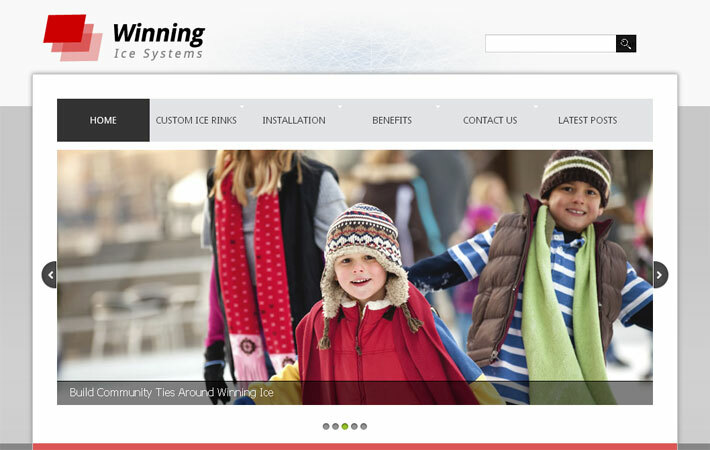 The client also opted for a range of 3PRIME SEO services along with the site redesign; we helped them achieve top Google rankings for keywords like “custom ice rink” and related terms, which has yielded the client hundreds of high quality leads for over 2 years.